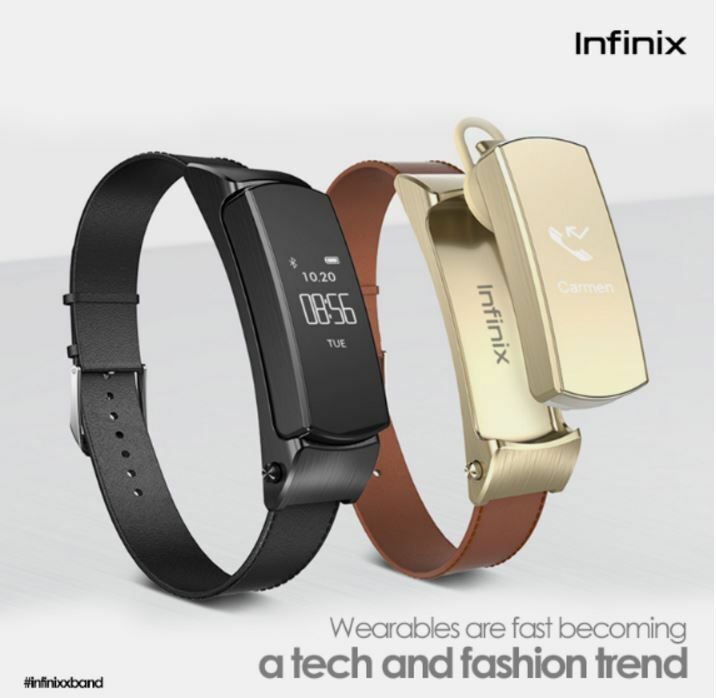 Over the years we had conducted a handful of reviews on Infinix smartphones, right now just as expected by many users, the company had decided to start producing and dishing out its own Wearable tech gadgets, two of which we will be showing you, the Infinix X-band and Infinix DNC headphones. Both of these tiny but powerful gadgets are quite sleek and you'll likely agree as you scroll down. The X-Band by Infinix is its first wearable tech from the company and has an array of cool functions as you can wear the Infinix X-band on your wrist to use as smartwatch or detach and convert it to a portable bluetooth earpiece. We also confirmed the new Xband is IP55 verified, which means it's dust and water resistant. As much as you wear the X-band into any hot or rainy day, you can can receive phone calls, notifications or even use it as a fitness tracker. Another Great news is Infinix made the gadget open for all devices, as long as you own an Android device, simply head to Playstore and Download the X-band App here. If you're looking for where to buy The Infinix X-Band you can look out for it at JUMIA AND ORDER for it.